Artists, cultural observers, media specialists and technocrats can all agree that we live on the cusp of what might be termed a ‘surveillance culture’. The rise time of this historic event has been gradual, yet interspersed by nonlinear transients triggered by certain momentous events, two of note being the Murrah Federal Building bombing, and the events of September 11, 2001. A parallel phenomenon has been the gradual merger of Federal, State and local law enforcement with elements of the military defense establishment and the intelligence communities, to form the nexus of a nascent police state. Another phenomenon of note has been the systematic merger of what were once considered responsibilities of the elected: traffic control, public records keeping, management of the penal system – with what was once considered the ‘private sector’. As private interests hold sway over the electoral and congressional processes, and as agglomerated media interests fuse the needs of government propaganda with the market forces of global capitalism, the culture at large then evolves from one dominated by the principles of democratic capitalism to a different model, elements of which were observed in certain European governments during the 1930s. In the late eighteenth century the British legal philosopher Jeremy Bentham published a series of letters within which were documented ideas for a radically new type of penal facility, which he termed the “Panopticon”, or “Inspection House”. The defining feature of this new form of prison was the manner in which the individual prison cells were arranged in a circular fashion around a central observation core, such that prisoners were rendered incommunicado with one another, and under the possibility of continuous surveillance. Although some of the salient features of the Panopticon have been implemented at various times within the penal systems of western governments within the last century, for the most part they have largely been ignored, until the technology of mass surveillance has developed to a level of sophistication permitting the Panoptic Principles to be applied to the society at large. Two of the most important of these principles are that of one-way observation, and cellular division of the population. Bentham’s principle of one-way observation precludes knowledge of the specifics of surveillance, leaving only the general sense that the minutiae of one’s otherwise private existence is, at any moment, indistinguishable from the vast sea of public information. Similarly, the Panopticon’s ability to separate and divide communities of prisoners into discretely isolated individuals seems to be paralleled by socio-economic forces that conspire to segregate families, neighborhoods, communities and cultures into isolated units, which then become vulnerable to external control; dependant upon the whims of the technocracy, rather than being a healthy, vibrant, interdependent community. Further evidence of a purposeful subdivision of culture is seen in the bipolar extremism evident in the present political spectrum, split into two armed camps represented by the two major political parties, whose rhetoric of divisiveness far outweigh what are in fact gross similarities in actual behavior. To further deepen the permanence of these divisions, multinational media conglomerates have created rival media networks, which serve to function as sounding boards, reinforcing the rhetoric of polarization at both political extremities. Within this milieu of overt external control, how are individuals and communities of a creative nature to thrive as artists, when their very consciences are continually violated? Within recent history, artists are found to frequently be united with activists in such matters as affect the conscience of the culture at large. With such an activist bent, the arts community in theory could be a very effective vehicle for the communication of social change. However, given the diverse nature of the various arts communities, and the dissolution of independent artistic thought by the pervasive effects of the internet and other forms of popular culture, finding an effective method of organizing and communicating within the arts communities, including the so-called underground and outsider arts groups, presents a formidable challenge. Therefore, rather than attempt to bring together these diverse creative groups and individuals under one formal organizing principle, I propose that the seed of an ‘Antipanoptic Movement’ be distributed far and wide as a set of generalities, rather than with the formal rigor of a manifesto. Although it is desired that a diverse spectrum of the arts be employed in active engagement within the Antipanoptic Movement, it is expected to provide special focus on those media especially embroiled within the turmoil of popular culture, specifically the visual arts, to include photography, film and video, and the written word. 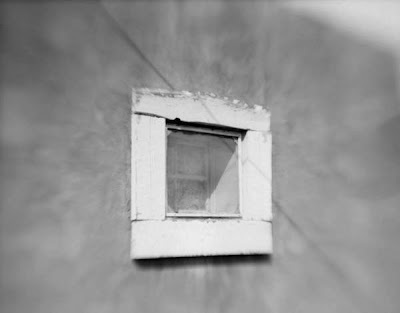 Some of the tactics expected to be employed under the rubric of ‘reverse-surveillance’ require the definition of precise terminology, to include ‘cryptophotography’, or hidden or concealed photographic image making; ‘cryptostenopaic photography’, or hidden or concealed pinhole photography; and ‘cryptocinematic’ techniques such as hidden or concealed film and videography. As an over-arching term to describe the use of these various media to deconstruct, reveal and critique mass panoptic phenomenon, I propose the use of the rubric ‘crypostenography’. These specifically defined tactics serve as a form of reverse surveillance-art, by deconstructing the panoptic principle of one-way mass surveillance; thereby revealing these once hidden activities and functions through the transparency of the two-way window of public critique and openness. A correspondingly vital parallel role is that of independent poets, writers and journalists who employ the spoken and/or written word, interpreting and translating the nuances of the visual arts into the concrete, structured thought of language. The written journalistic word can also serve to unveil and critique the activities and intentions of the power elite within the panoptic culture. As a final thought, given the intrinsic property of the Internet as meta-surveillance, it is of little surprise that these words may bring undue attention by those who stand to gain from the current milieu of panopticism. Ironically, it is equally likely (perhaps simultaneously so) that these thoughts would remain universally anonymous, drowned out in the overwhelming din of the unchained blogosphere.